My original product was designed to help my Mother, who suffers from arthritis, to fill a coal bucket from her coal storage bunker. When the coal bunker was full, it was difficult to shovel coal out due to the weight from above. When it was empty it was difficult to gather coals which were scattered or had accumulated at the back of the bunker. Coming home from work and going to my mothers and filling couple of buckets of coal and setting them beside the fire, I noticed she was lifting lumps of coal out with her hands and placing coal into the fire, I asked why,she replied there was to much in the bucket and it was to heavy to lift. I studied the ergonomics involved and the smart bunker was born. Where you placed the bucket under the discharge point, pulled the handle with minimal effort and fill the bucket to the required amount you can carry. Mum was pleased as she could do this by herself, by pulling the handle filling a wee bit into the bucket job done and no shovel required. 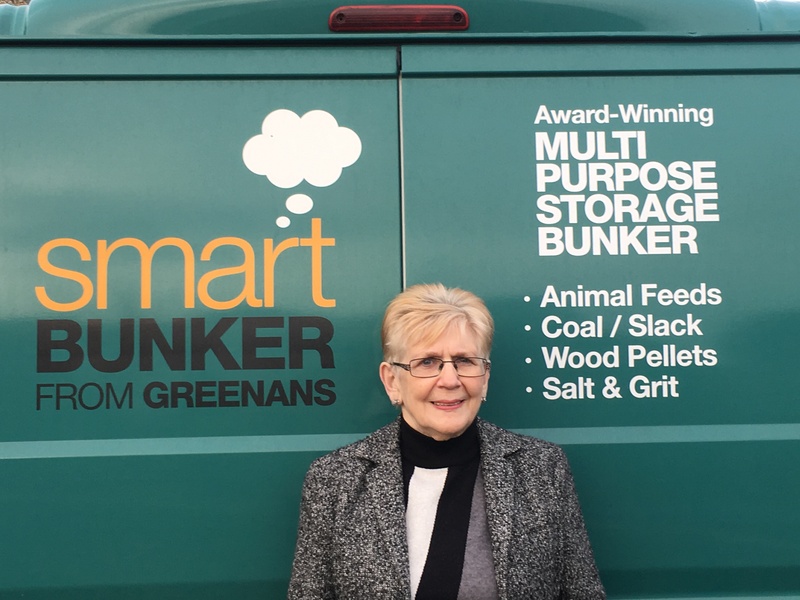 The company’s first product was The SmartBunkerTM, an innovative storage bunker with a spring-loaded side lever which releases stacked product at the bottom of the container, where, for example, a bucket can be placed instead of having to use a shovel or scoop. The Smart Bunker is a simple solution to an age-old problem. Until now, there has been no product that robustly addresses user ability and Health and Safety issues as well as the Smart Bunker. Upon speaking to close family members about my product, additional uses for the storage bunker became apparent including storage and dispensing of produce such as Animal Feed, Salt & Grit, Compost, Wood Pellets, Coal, Slack, or any dry product.